The first tests of the Russian next-generation crewed spacecraft called “Federation” have just been conducted, according to the vehicle’s manufacturer RKK Energia. The company announced last week that the spacecraft’s man-machine interface elements were successfully examined on a unique ergonomic simulator. “We carried out the first formal, documented test on this new stand in the scope of the man-machine interface development. Its essence is to evaluate the distribution of the basic information areas on displays of the cosmonaut panel,” said Mark Serov, head of RKK Energia’s Flight-Test Department. 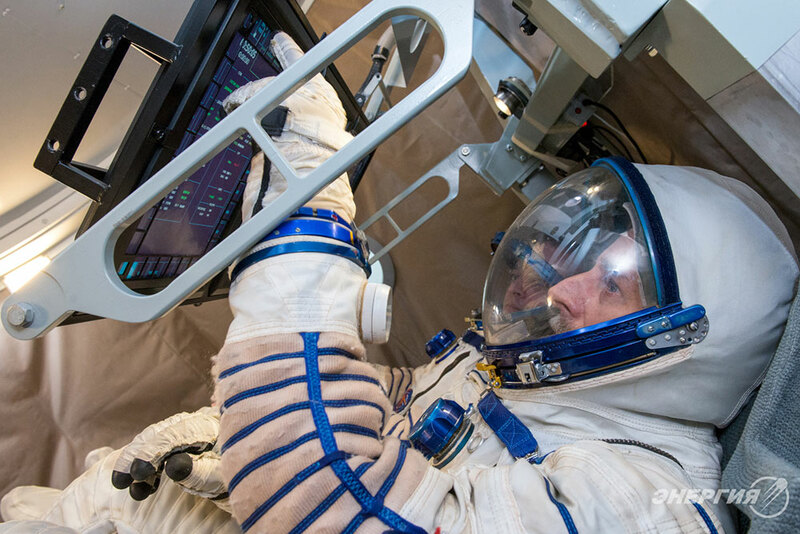 The simulator imitates the crew workstations in the vehicle’s command module and the crew working conditions, including the use of rescue spacesuits. The tests were based on algorithms derived from the activity of spacecraft crews during various flight phases. The engineers checked launch, insertion, autonomous flight, and docking processes. They also carried out a series of tests to examine the flight phase toward an orbiting space station as well as circumlunar trajectories. The teams will now verify the results and make further decisions regarding the development of the spacecraft. They will decide on implementing one or another of the interface elements. RKK Energia is also currently developing the technical documentation of the vehicle. The process is underway and is expected to be finished in June of this year (2016). Russia considers “Federation” as its next-generation reusable spacecraft that the nation hopes will replace the country’s flagship Soyuz vessel. It should be capable of delivering people and cargo to the Moon and to space stations positioned in low-Earth orbit (LEO). The vehicle will measure 20 feet (6.1 m) in length and have a mass of approximately 14.4 metric tons when in flight to the International Space Station (ISS). The lunar version would have a mass of nearly five metric tons more. The spacecraft should be capable of sending up to four cosmonauts to space as well as to be able to operate autonomously for up to 30 days, with the possibility of staying attached to the ISS for up to one year. An Angara-A5P heavy rocket would be used to deliver the vessel into orbit. RKK Energia plans to start the construction of the spacecraft sometime this summer. The company is hoping to finish building the spacecraft by 2021, with the first launch scheduled for 2023. According to Roscosmos, the spacecraft should be capable of reaching the Moon sometime in 2024–2025. The “Federation” spacecraft is expected to cost about $734 million over the next six years. The name of the spacecraft was chosen in January of 2016 after a public naming contest. “Federation was deemed to be a perfect name for the series of new Russian spacecraft. Russia is a federation of 85 constituent entities and each of them will be able to give its name for one of the spaceships,” RKK Energia said. Interesting development. What type of lunar lander are the Russians contemplating with the “Federation?” And what type of lunar mission profile? Many questions to be sure!